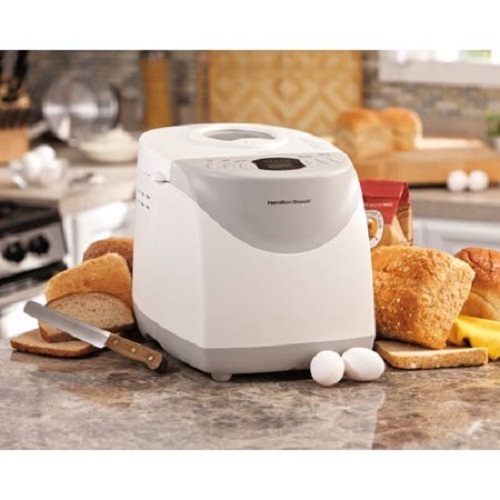 Make bakery-fresh bread in the comfort of your own home with this Hamilton Beach HomeBaker 2 Pound Automatic Breadmaker with Gluten Free Setting. Great addition to your kitchen if you are trying to integrate more healthy, whole grain foods or trying to avoid gluten. This breadmaker has a 4.5 out of 5 star rating with over 1,900 reviews.